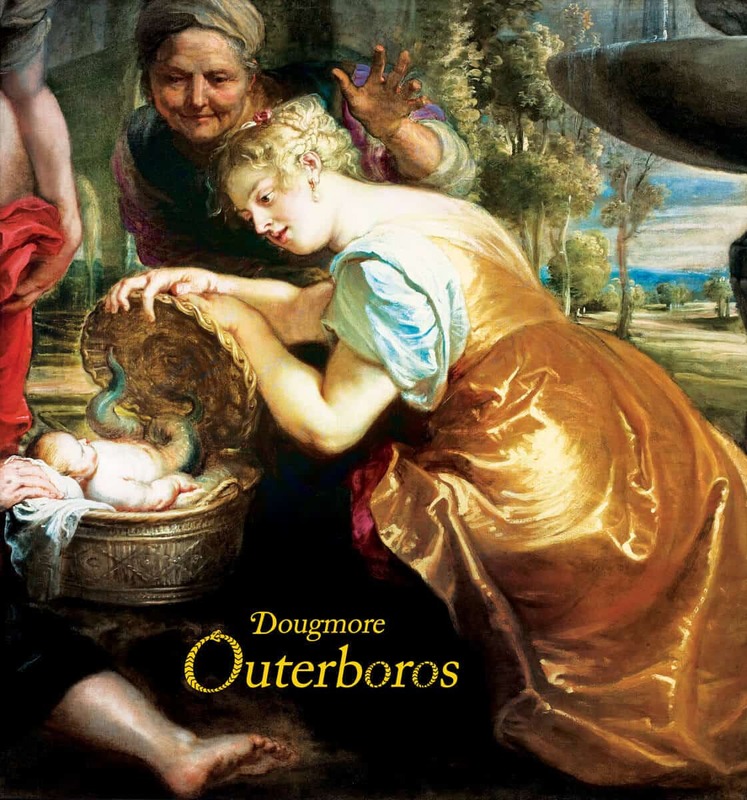 Dougmore‘s debut album is a foray into folkloric music through the lens of art rock. Indeed, Outerboros is lush and complex, deep and progressive, and, on top of that, inspiringly beautiful. Don’t be fooled by the apparent simplicity of the folk singer-songwriter foundation of the project – with Douglas and his banjo -, for there is here a plethora of invited artists – playing a wide range of instruments, from wine glasses to trumpets, from bouzouki to double bass, from dulcimer to harp, and a lot of other things in-between. This not only bring in a variety of timbres and sonorities to the record, but it also helps flesh out the heavily-layered compositions of Dougmore. With poetry, fantasy, fables and surrealist mundanity, Douglas crafts an entrancing otherworldly avant-garde folk album that will stay with you for a long time.